The South Platte River and underlying alluvial aquifer form an important hydrologic resource in northeastern Colorado that provides water to population centers along the Front Range and to agricultural communities across the rural plains. Water is regulated based on seniority of water rights and delivered using a network of administration structures that includes ditches, reservoirs, wells, impacted river sections, and engineered recharge areas. A recent addendum to Colorado water law enacted during 2002–2003 curtailed pumping from thousands of wells that lacked authorized augmentation plans. The restrictions in pumping were hypothesized to increase water storage in the aquifer, causing groundwater to rise near the land surface at some locations. The U.S. Geological Survey (USGS), in cooperation with the Colorado Water Conservation Board and the Colorado Water Institute, completed an assessment of 60 years (yr) of historical groundwater-level records collected from 1953 to 2012 from 1,669 wells. Relations of “high” groundwater levels, defined as depth to water from 0 to 10 feet (ft) below land surface, were compared to precipitation, river discharge, and 36 geographic and administrative attributes to identify natural and human controls in areas with shallow groundwater. Averaged per decade and over the entire aquifer, depths to groundwater varied between 24 and 32 ft over the 60-yr record. The shallowest average depth to water was identified during 1983–1992, which also recorded the highest levels of decadal precipitation. Average depth to water was greatest (32 ft) during 1953–1962 and intermediate (30 ft) in the recent decade (2003–2012) following curtailment of pumping. Between the decades 1993–2002 and 2003–2012, groundwater levels declined about 2 ft across the aquifer. In comparison, in areas where groundwater levels were within 20 ft of the land surface, observed groundwater levels rose about 0.6 ft, on average, during the same period, which demonstrated preferential rise in areas with shallow groundwater. Approximately 29 percent of water-level observations were identified as high groundwater in the South Platte River alluvial aquifer over the 60-yr record. High groundwater levels were found in 17 to 33 percent of wells examined by decade, with the largest percentages occurring over three decades from 1963 to 1992. The recent decade (2003–2012) exhibited an intermediate percentage (25 percent) of wells with high groundwater levels but also had the highest percentage (30 percent) of high groundwater observations, although results by observations were similar (26–29 percent) over three decades prior, from 1963 to 1992. Major sections of the aquifer from north of Sterling to Julesburg and areas near Greeley, La Salle, and Gilcrest were identified with the highest frequencies of high groundwater levels. Changes in groundwater levels were evaluated using Kendal line and least trimmed squares regression methods using a significance level of 0.01 and statistical power of 0.8. During 2003–2012, following curtailment of pumping, 88 percent of wells and 81 percent of subwatershed areas with significant trends in groundwater levels exhibited rising water levels. Over the complete 60-yr record, however, 66 percent of wells and 57 percent of subwatersheds with significant groundwater-level trends still showed declining water levels; rates of groundwater-level change were typically less than 0.125 ft/yr in areas near the South Platte River, with greater declines along the southern tributaries. In agreement, 58 percent of subwatersheds evaluated between 1963–1972 and 2003–2012 showed net declines in average decadal groundwater levels. More areas had groundwater decline in upgradient sections to the west and rise in downgradient sections to the east, implying a redistribution of water has occurred in some areas of the aquifer. Precipitation was identified as having the strongest statistically significant correlations to river discharge over annual and decadal periods (Pearson correlation coefficients of 0.5 and 0.8, respectively, and statistical significance defined by p-values less than 0.05). Correlation coefficients between river discharge and frequency of high groundwater levels were statistically significant at 0.4 annually and 0.6 over decadal periods, indicating that periods of high river flow were often coincident with high groundwater conditions. Over seasonal periods in five of the six decades examined, peak high groundwater levels occurred after spring runoff from July to September when administrative structures were most active. Between 1993–2002 and 2003–2012, groundwater levels rose while river discharge decreased, in part from greater reliance on surface water and curtailed pumping from wells without augmentation plans. Geographic attributes of elevation and proximity to streams and rivers showed moderate correlations to high groundwater levels in wells used for observing groundwater levels (correlation coefficients of 0.3 to 0.4). Local depressions and regional lows within the aquifer were identified as areas of potential shallow groundwater. Wells close to the river regularly indicated high groundwater levels, while those within depleted tributaries tended to have low frequencies of high groundwater levels. Some attributes of administrative structures were spatially correlated to high groundwater levels at moderate to high magnitudes (correlation coefficients of 0.3 to 0.7). The number of affected river reaches or recharge areas that surround a well where groundwater levels were observed and its distance from the nearest well field showed the strongest controls on high groundwater levels. Influences of administrative structures on groundwater levels were in some cases local over a mile or less but could extend to several miles, often manifesting as diffuse effects from multiple surrounding structures. A network of candidate monitoring wells was proposed to initiate a regional monitoring program. Consistent monitoring and analysis of groundwater levels will be needed for informed decisions to optimize beneficial use of water and to limit high groundwater levels in susceptible areas. Finalization of the network will require future field reconnaissance to assess local site conditions and discussions with State authorities. Denver Water last week approved the WISE partnership agreement that clears the way for the utility to delivery treated water to the area’s southern suburbs. Approval of WISE, which stands for Water Infrastructure and Supply Efficiency, formalizes the regional cooperative water project. The agreement calls for the permanent delivery of 72,250 acre-feet of treated water from Denver and Aurora to members of the South Metro Water Supply Authority (SMWSA). SMWSA was formed in 2004 from the banding together of smaller water utilities in south Denver. 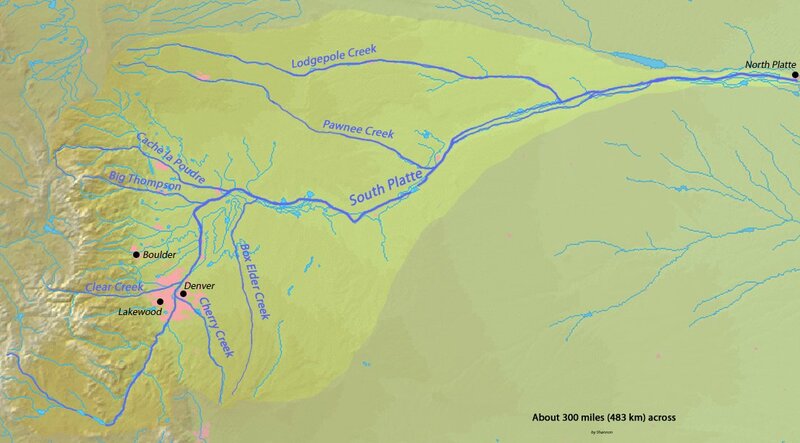 With the agreement now in place, some of the water that currently flows down the South Platte River and out of the state would be recaptured by Aurora’s 34-mile Prairie Waters Pipeline and pumped back to the Peter D. Binney Water Purification Facility near the Aurora Reservoir. There, the water would be treated and piped to the southern suburbs. The water delivery will begin in 2016. Members of the SMWSA must have infrastructure in place to move the water from the purification facility. The cost of the water and infrastructure for its delivery is estimated at $250 million over the next 10 years. Each member will independently determine how to finance their share of the project. The participating members of SMWSA are the town of Castle Rock, Dominion Water & Sanitation District, Stonegate Village Metropolitan District, Cottonwood Water & Sanitation District, Pinery Water and Wastewater District, Centennial Water & Sanitation District, Rangeview Metropolitan District, Parker Water & Sanitation District, Meridian Metropolitan District and Inverness Water & Sanitation District. More WISE Partnership coverage here. The strength of the county’s borrowing power bumps the water game up a notch in Douglas County, said Jill Repella, commissioner, District 2. Repella was part of the conversations with providers who made it clear the county’s role is critical to the success of any effort toward bringing long-term water to Douglas County. Front Range municipalities, because of their rapid growth, have been buying agricultural water rights from farmers to secure the future water needs for decades. But because of the ongoing “buy and dry” trend, the 2010 Statewide Water Supply Initiative, compiled by the Colorado Water Conservation Board, estimates that 500,000 to 700,000 acres of irrigated farmland could be dried up by 2050 — a year by which Colorado farmers will also be expected to help feed a state population that will have doubled to about 10 million people, according to some estimates. More Arapahoe County Water and Wastewater Authority coverage here and here. The Arapahoe County Board of County Commissioners recently appointed five citizens to serve on the newly-expanded Arapahoe County Water and Wastewater Authority Board of Directors. ACWWA is a water and wastewater authority responsible for the day-to-day operation of providing water and sanitary sewer services to its customers in a roughly eight-square mile area located in central Arapahoe County and a small portion of northern Douglas and Elbert counties. Serving in their capacity as the Board of Directors for the Arapahoe County Water and Wastewater Public Improvement District, the Commissioners expanded the ACWWA Board of Directors to nine members from its current seven-member board. – Mikkel R. Anderson, an executive with the International Risk Group. – Steven H. Davis, developer/investor with Community Builders Inc.
– Linda Lehrer, president of Sierra Consulting, who served on the ACWWA Board from 2007– 2009. – Geri G. Santos-Rach, a Medical Billing Analyst for IMED, who previously worked for the Colorado Public Utilities Commission until she retired in 2009. – Dr. Phyllis R. Thomas, Utility Application Specialist with Phyllis Thomas Consulting. In April, the commissioners requested applications from citizens interested in serving on the ACWWA Board of Directors. The County received 16 applications and the Commissioners conducted interviews with seven candidates before making its appointment. “We want to thank all the citizens who took the time to apply for these positions and for their interest in helping to shape their community,” said Commissioner Rod Bockenfeld, who serves as Board Chairman. For more information about the Arapahoe County Water and Wastewater Authority, visit their web site at http://www.arapahoewater.org. Lembke and United are an integral part of the water deal, in charge of building a reservoir and delivering water rights to the ACWWA. Lembke is considered a divisive figure in Colorado water, using the power of his special district to buy and sell water up and down the Front Range. Click through for more details and to read some of Dyer’s email correspondence. • ACWWA never formally studied the need for the reservoir. Atkin said an “initial needs analysis was done through the Cherry Creek Project Water Authority,” of which ACWWA is one of four members. Susan St. Vincent of the Cherry Creek project said she could not find anything in its files that resembled a needs analysis. Her group, she said, has reviewed building or using existing reservoirs to provide each member with a percentage of storage space. In 2007, it looked at constructing one at the Chambers site but dismissed it because it was too expensive. The cost estimate was more than what ACWWA paid, according to records. • ACWWA doesn’t have any records showing a comparison of its reservoir to Rueter-Hess reservoir a few miles south in Parker. ACWWA is paying $10,000 an acre-foot for storage, according to its contract, while Rueter-Hess is $5,500 an acre- foot, said Frank Jaegar, district manager for Parker Water & Sanitation District. • ACWWA does not have a plan regarding how the water will leave Chambers reservoir and where it will be delivered. ACWWA has also not conducted any cost estimates for this, Atkin said when asked by The Post. • ACWWA hasn’t determined what water is going into the reservoir. Some of it is expected to come from junior water rights on the Cherry Creek, Atkin said. Atkin also said he expects many details about the reservoir to be dealt with in the master plan. 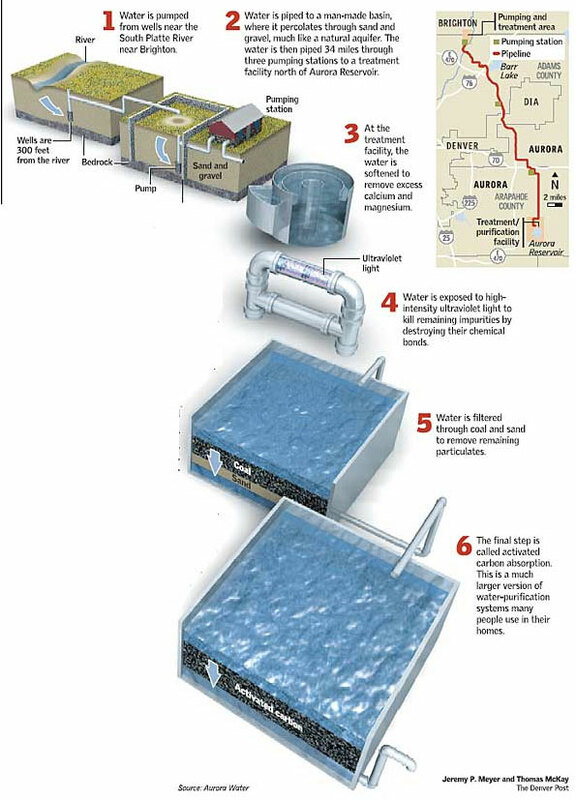 And, he said, one reason not to use Rueter-Hess was because of a U.S. Army Corps of Engineers requirement that the agency review renewable sources of water stored in Rueter-Hess to determine the impacts of transferring and storing it. More Arapahoe County Water and Wastewater Authority coverage here.